Ranked NUMBER ONE out of 37 Aspen Hotels! 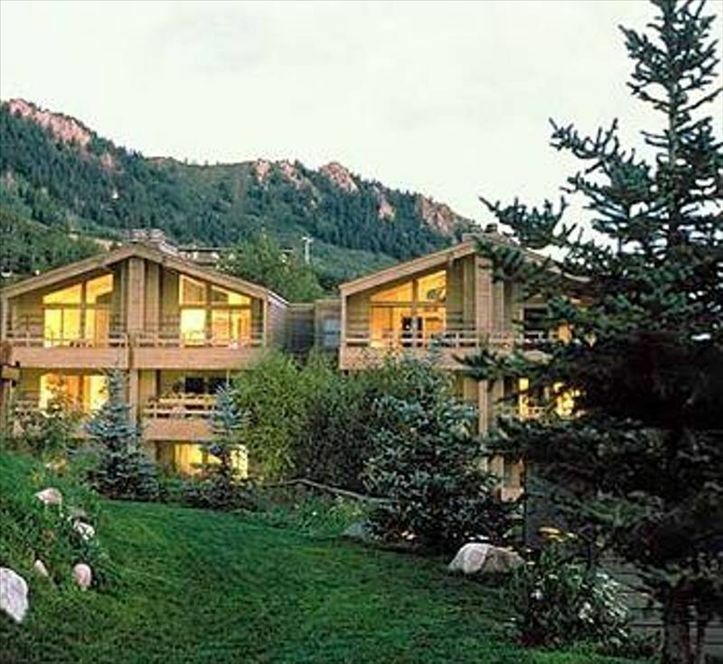 A luxury condominium resort, the Gant is located at the base of Aspen Mountain. Boasting two heated outdoor swimming pools, three hot tubs, saunas, a fitness facility and tennis courts, the resort provides high class services such as a valet, bell service, a personalized concierge, and complimentary in-town transportation. With a wonderful family environment, guests enjoy barbecuing and swimming with the kids by the pool or roasting smores by the roaring outdoor fireplace at night. Located in Aspen Central core, guests have no need for a vehicle to reach some of the country's best restaurants, shopping, and nightlife. From the patio, guests enjoy unparalleled views that are inspirational to enjoy the Great Outdoors. This recently upgraded Premium 2 bedroom, 2 bath condominium has a spacious living area, dining room, full kitchen (including all necessary cooking utensils), private balcony, 3 TV's, a DVD player and Wi-Fi Internet access. The finest quality bedding, including Frette sheets and plush Turkish towels is also available. The condo has a master bedroom with a King bed and a second bedroom with two queen beds. The living room has a pull out couch which sleeps two for larger parties. Much of the area around Aspen is public land within the White River National Forest, providing endless possibilities for downhill or cross-country skiing, dog sledding, horseback riding, mine exploring or fly-fishing. Fun activities for the kids include world-class Rio Grand Skate Park, biking along the Rio Grand Trail, rafting, and the Aspen Center for Environmental Studies. Kids will also enjoy meeting the resident golden eagle 'Belle'. There is always something new and exciting to explore in Aspen. Spring and Summer activities include the annual Aspen Music Festival, golf, jeep tours, hot air balloon rides, and parasailing. In the winter, there is skiing & snowboarding, snow shoeing, snowmobiling, sleigh rides, snow cat powder tours and ice-skating. A small town with big city cultural appeal, Aspen caters to everyone, from families to newlyweds. Guests enjoy bonding with the family throughout the day, or can leave the kids with a babysitter to experience Aspen’s legendary nightlife. Afternoons can be spent by sipping locally handcrafted ale or by browsing amazing art galleries. After dining at one of Aspen's award-winning restaurants with limitless options including Austrian, vegetarian, or barbeque, guests can complete the night with dancing, billiards or wine tasting at our lively clubs and bars. For fashion lovers, Aspen is a wonder to behold. Guests can shop international fashion houses such as Burberry and Prada or enjoy brands such as Polo and JCrew along Galena Street. In March, Aspen hosts its annual Fashion Week. For the sports-minded, there are many shops carrying tried and tested technical gear, such as Boogie’s and Four Mountain Sports. Other cultural events include music performances by Aspen Music Festival students, and flee markets selling Western treasures, fine art, clothing, and handmade jewelry. Whatever you decide to try, your time in Aspen will be remembered as extraordinary! Keywords: Condominium, Holiday Getaway, ski vacation, ski rental. There is not a Washer/Dryer in the unit, but The Gant does offer washers in the building on the basement level. There is not a Washer/Dryer in the unit, but The Gant does offer dryers in the building on the basement level. Kayak & canoe rentals are available through The Gant. Bikes can rented easily through The Gant's We-Cycle participation. The Gant offers tennis courts. Well maintained 2 BR condo in a great location! Property was clean and nice. Could use a new mattress in the master bedroom! Great location! We loved The Gant. Great location, great service. The Gant is a fabulous place to stay.Friendly staff,terrific & very regular transport offered around Aspen and very conveniently located. This condo was perfect for my family of 4. Nice furnishings and very comfortable. The location was fantastic. Just a quick walk to the slopes or into town to shop. If we didn't feel like walking there was a very convenient free shuttle. The Gant has great amenities and my kids loved the pool, hot tubs, and the snack bar at the conference center. A fantastic trip and I'll be back next year. Rates are subject to change based on demand and availability. There is a $100 cleaning fee and a 100% refundable $500 security deposit.